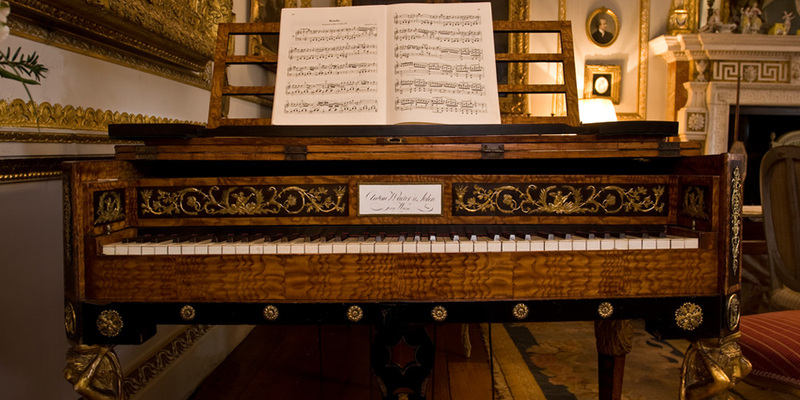 Anton Walter was an important Viennese piano maker during the late 18th and early 19th century. His instruments were more forward-looking than those of his rival J.A. Stein. He made an instrument c. 1784 for Mozart and Schubert is depicted sitting beside one of his instruments. The richly ornamental case is veneered in an exotic Hungarian ash and is an excellent example of Viennese cabinet-making. Acquired by the Cobbe Collection Trust with funds donated by Alec Cobbe.